This May, Insiders from across the southland are invited to participate in spring IRL. Spring is the time of college acceptances and rejections. Whether you’re in college, applied to college or will be applying to college, join us for a morning of discussions and storytelling at Washington Park in El Segundo. 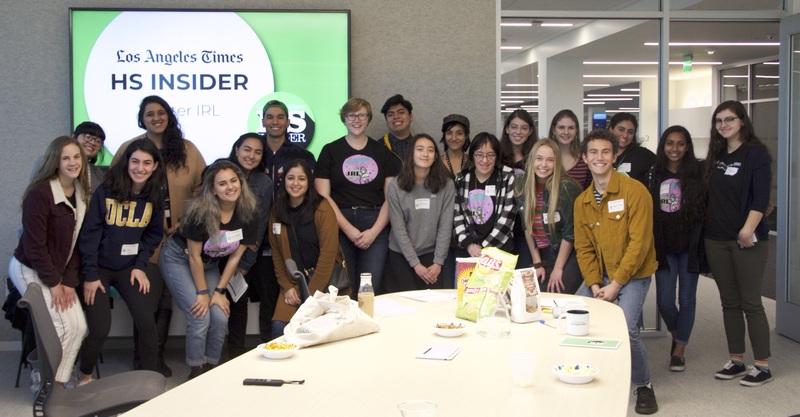 Join HS Insider on Saturday, May 11 as we talk to LA Times reporters and fellow Insiders about college. Please fill out the google form below to get started, and email HS Insider Co-Lead Producer Kevin Camargo (kevin.camargo@latimes.com) if you have any questions. Sign up by Friday, May 10 to participate.